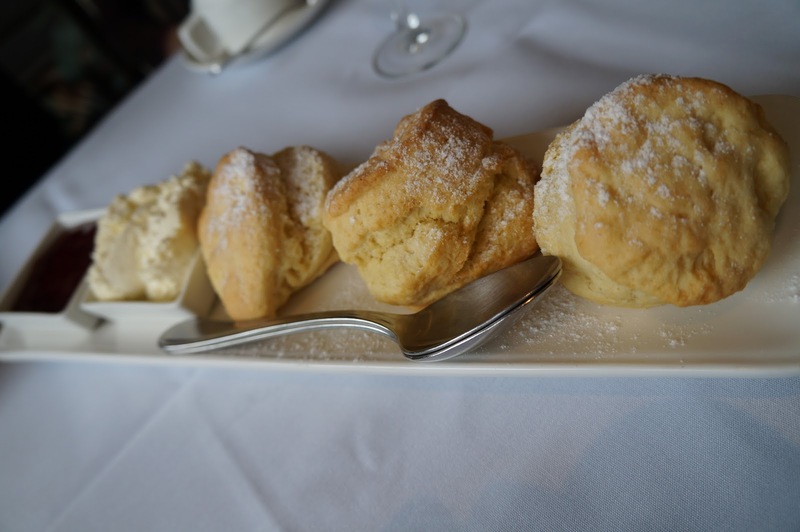 Continuing on our food journey and post-exam celebrations, a couple of girlfriends and I headed to McMahon’s Restaurant at Quay West for high tea. The normal price was $38 each, but thankfully we had a Spreets two-for-one voucher. There was a big storm when we arrived and it was quite hard to get parking closer to the place (street parking is off-limits on weekends). Therefore, we decided to give ourselves a treat and used the valet parking at the hotel. We drove right up to the entrance, handed the key to the valet and off we went. The valet service costs $30, but since we carpooled and shared the cost, it worked out alright. Unlike some other tea houses that provide a more Victorian style setting, the restaurant is quite modern but still has a classy touch. 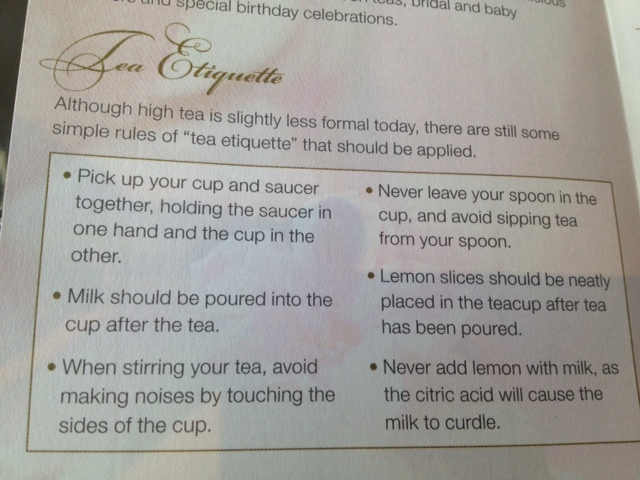 There is even a little leaflet with tea-etiquette information. It was quite informative and we had a good time ‘scoring’ ourselves against it. High tea was served on a three-tiered stand with an additional plate of scones. 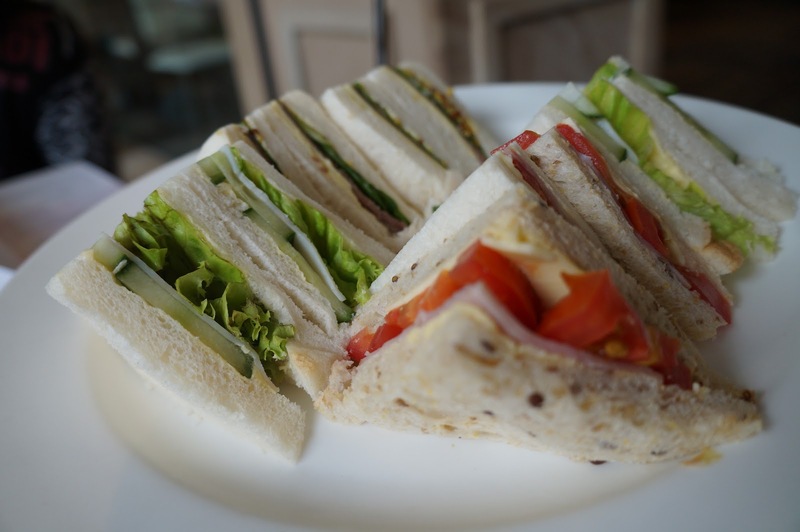 The first tier had a selection of assorted sandwiches. We found the sandwiches to be just average. 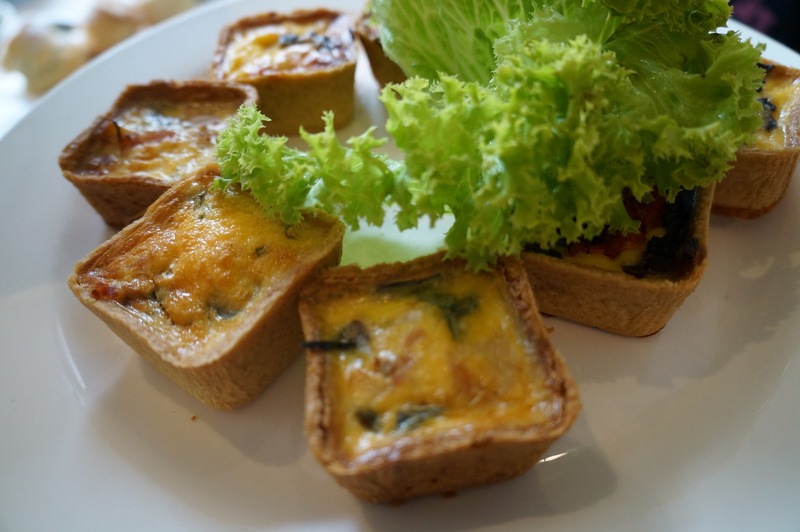 The second tier was quiches. The pastry was short, crumbly and very buttery. I loved it! 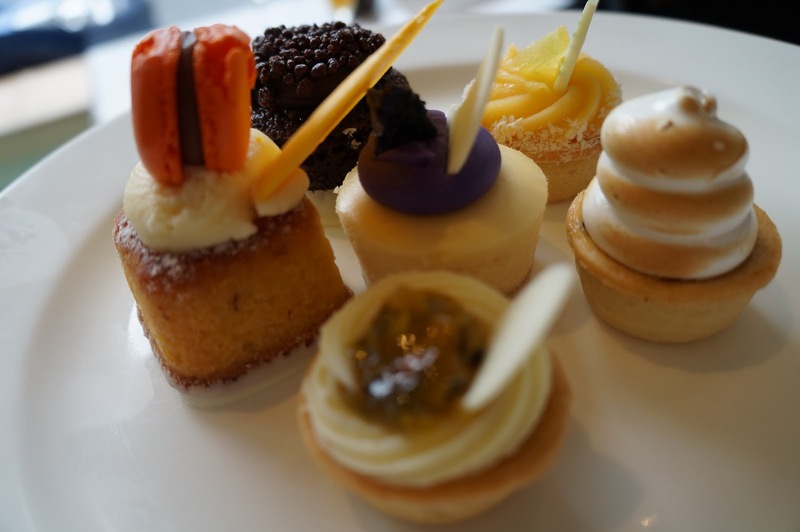 The third tier had a selection of assorted desserts. The downside was that there was only one of each, so we had to cut it three-ways for sharing. All I can say was that cutting delicate desserts three-ways was a little messy. My favourite was the white chocolate cheesecake with lavender cream. The lemon tart and lemon meringue pie were both too citrusy for me. The unanimous favourite that day was the scones – light and fluffy, not too crumbly or cakey. 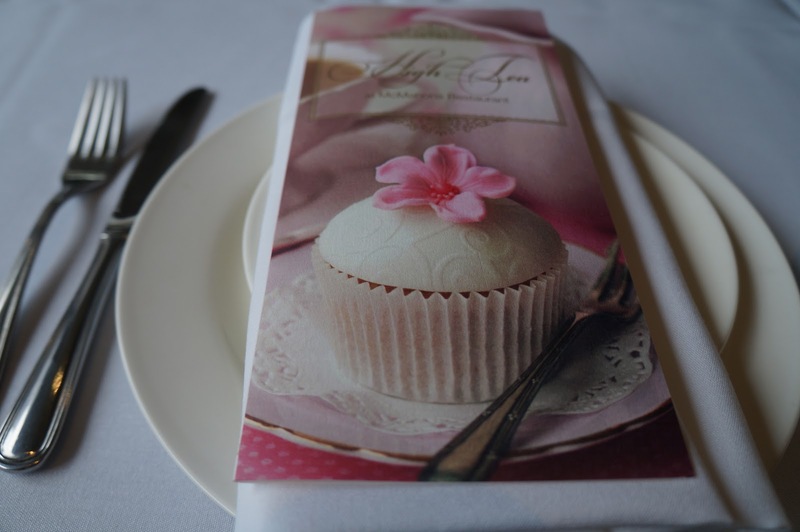 Overall, we enjoyed the experience as it was a good change from having high tea at a traditional tea room.